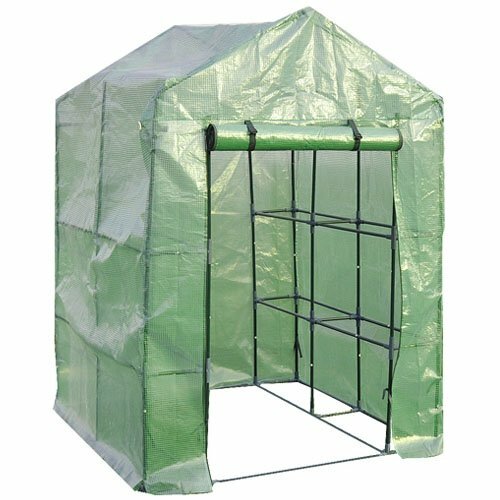 This open “walk in” portable greenhouse utilizes lightweight, yet sturdy, PVC coverings built over a powder-coated steel frame. The combination of these two elements is an incredibly durable final product that can be moved from location to location, fitting in tight spaces as available. The zipper door allows for easy access and ventilation while it also can be sealed in to maintain the internal climate. Perfect if you want to reduce excessive heat or cold and keep your seedlings safe throughout the seasons. The “three tiered” hexagonal design adds the shelves and shape that is perfect if you need storage internally and want to fit the greenhouse in specific areas. Start your backyard gardening today with this Outsunny greenhouse. 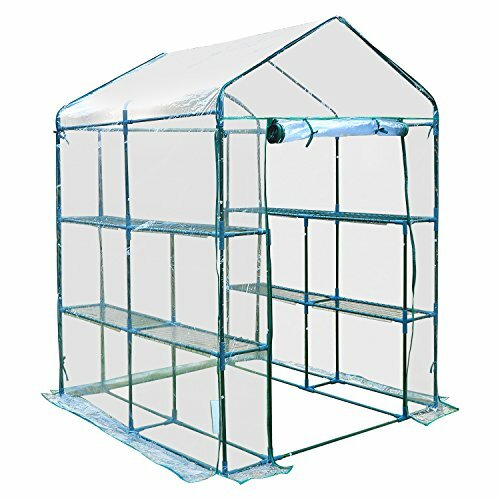 NOTE: This is not a heavy duty greenhouse, please keep this in mind when constructing and leaving up during inclement weather. Any damage done due to wind, rain or other elements beyond our control are not covered under warranty.